Officially a National Geographic Explorer. 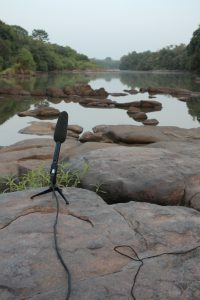 Artist in residency at fieldwork site in Ivory coast (Africa) with team of ecology scientists. Creative project three weeks in Africa, one week in Netherlands. Running time of this project is March 2018 till May 2019. Touch the public in the head and the heart. We aim to inspire people with the beauty of migration, make them aware of human impact on places and get them connected with conservation. A professional creative will join our ‘migration’ to the African wintering habitats for 3 weeks as artist-in-resident in Comoé research station to develop a mixed-media art project. Back on the Dutch breeding grounds, the product will be produced and presented at the creative ‘city of talent’ Biotoop, which hosts over 300 artists, craftsmen, residents and companies. The output will contain a portable, tangible art installation accompanied by a podcast that tells the story of being at the right place at the right time. In April 2018 I collected stories about the Pied flycatcher (bird) and it’s migratory lifestyle, the research, research material such as geolocators, the place and it’s inhabitants and the research crew. 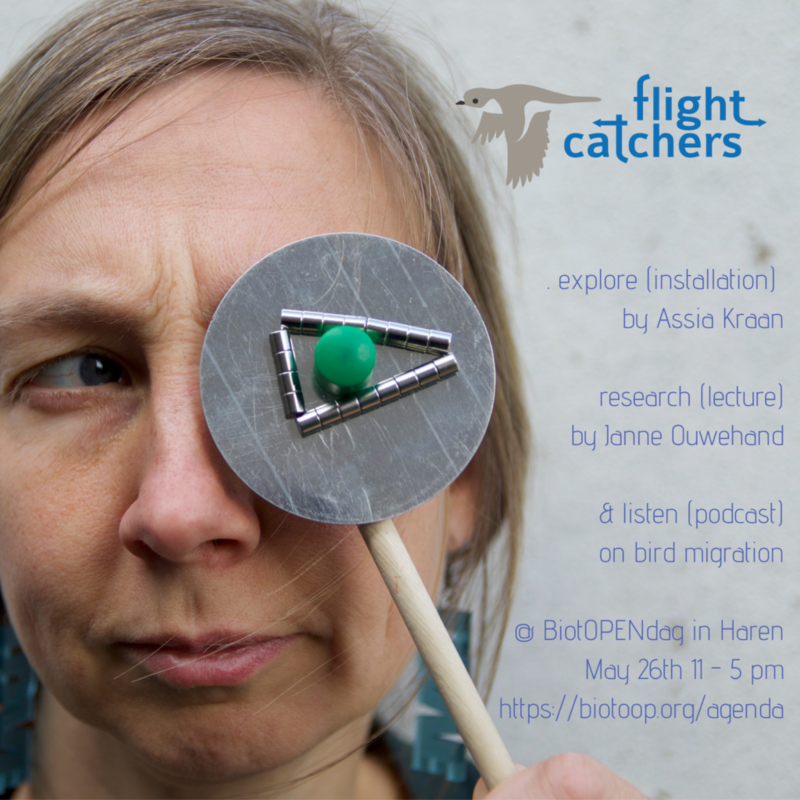 End of May 2019 I present the interactive art installation and the launch of the podcast at BiotOPENdag in Haren – Netherlands. Early May 2018 I talked about storytelling & migratory research for the BAMBI seminar at BCI, a Smithsonian fieldwork location in Panama. 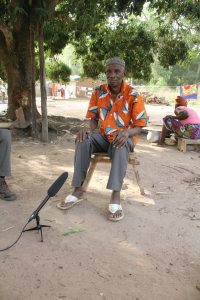 This project was funded by National Geographic Explorers and was produced in close collaboration with Janne Ouwehand. With support of Comoé research station and University of Groningen.